I'm well aware that Milwaukee is not everyone's number one destination fantasy when it comes to booking a holiday vacation, but my little city has some amazingly fun events and things to do around this time of year that I figured I might as well share! Not to mention, this could be a little inspiration for you to hunt around your city and find things going on. Holiday Tea // One of my favorite things to do, no matter what time of year, is spend an afternoon at high tea with my mom, aunts, or cousins. There is nothing that makes me feel fancier than an afternoon spent dressed up and sipping on tea and munching on sandwiches and sweets. 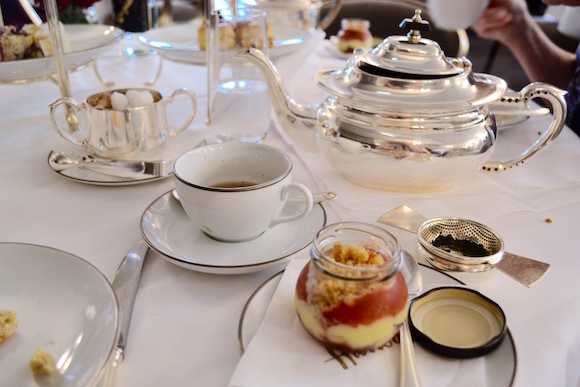 I have gone to tea at both the Plaza in New York and Harrods in London and I have been dying to try tea in Milwaukee at the Pfister Hotel and Watt's Tea Shop. Most tea rooms offer a fun holiday afternoon tea event, so be sure to look around for one available to you! Seriously, you will not regret it. 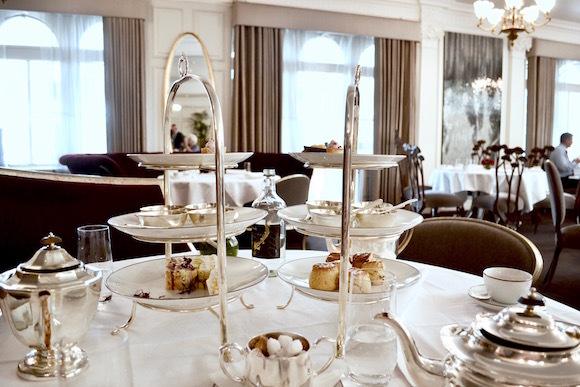 Afternoon tea is a fabulous experience. Carriage Rides // I spend a lot of time downtown on the weekends with my friends, and during the holidays you can find horse-drawn carriages decked out in ribbons and wreaths wandering the blocks just waiting to give you a ride! I took a ride last year with a few friends and it was such a cute way to see the city in the snow. 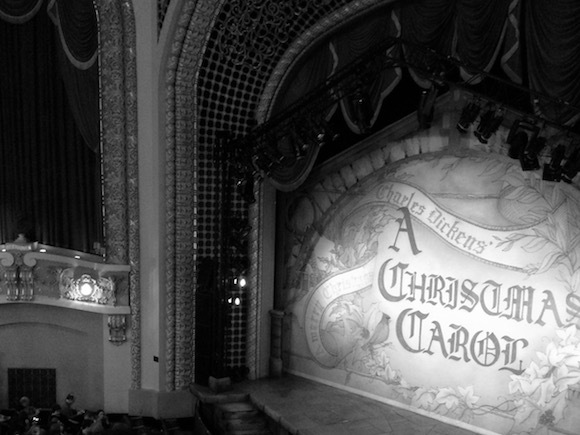 A Christmas Carol // Every year, the Milwaukee Repertory Theater puts on an incredible production of A Christmas Carol, and it really is such a wonderful holiday tradition. I went last year on Christmas Eve with my family and we made a whole night out of it by dressing up and starting off with a delicious dinner downtown. I didn't think I was one for plays or musicals, because I haven't always enjoyed the like in the past, but I loved this festive experience and I really recommend you check out the holiday musicals or plays at a theater in your city! When I was little and we lived in Chicago, we used to see the Nutcracker in Chicago downtown every year, and it was such a fun tradition. And tell me this wouldn't be the perfect dress for the occasion! What are some fun holiday traditions and events in your city? This post was written in collaboration with Eventbrite, a self service ticketing platform, the largest self-service ticketing platform in the world that helps people find and plan events. These look like some great things to do that are bound to be lots of fun! I especially love the holiday tea!